Linda flor apresentada sob uma luz suave que muito destaca suas cores e tonalidades. Excelente �ngulo e defini��o. I'm not sure how you have produced this glowing effect in your pp. I would love to know. Anyway, the effect is most unusual and produces an effect like a modern painting. 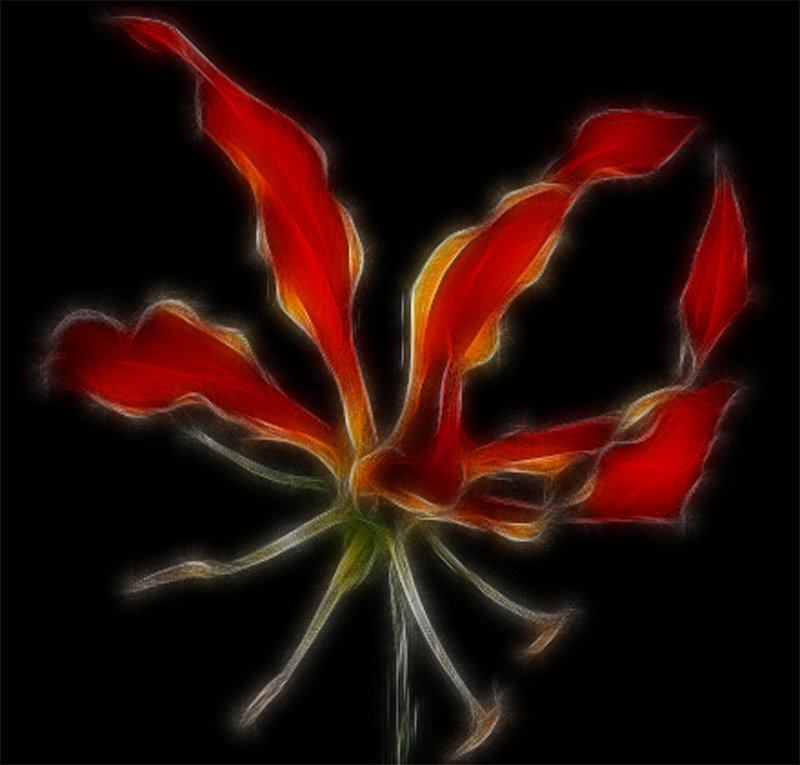 I like the twisting petals and the rich colours, beautifully composed against the dark b/g.